The following is a guest post from Live Lingua and Teacher Indie Content Manager Tim Wenger. Teacher Indie has been my go-to resource for all things related to teaching online, and it covers a range of topics that help both new and veteran teachers achieve success. I’m happy to have Tim share his expertise with all of our members here, so let’s dive right in! For those working independently (i.e. not as an employee of a school or institution), the world of online teaching poses a number of unique challenges. When approached the right way, these challenges return immense benefits including location independence and self-employment, a level of freedom that many traditional teachers only experience during the summer months. Independent online teachers are essentially running their own business. This takes a business plan – and a high level of self-discipline that includes actually working instead of snoozing on the couch. 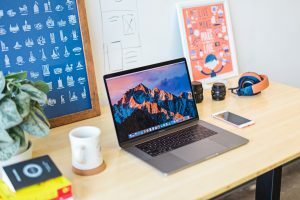 I encourage anyone interested in pursuing online teaching to check out some online business podcasts (Tropical MBA is a great place to start) and websites. Read up on how to start and run a business, and put together a plan for the coming year. 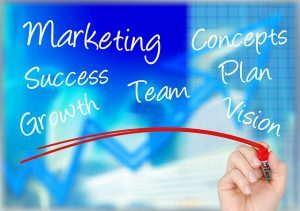 How are you going to market your business? How are you going to bill and collect payment from them? Be sure these things are in place, along with must-do’s like a great website and social media presence. Your business plan should incorporate all of these elements, and allow you to perform cost/benefits analysis for expenses and marketing efforts based on your projected income. Here is a great template for putting together a basic business plan. Implement your best practices from classroom teaching. Build individual student goals and situations into your lesson planning. As we all know, not everyone learns the same way. The more personal a lesson plan, the more likely a student is to stick around and refer you to others. This is especially true for those of you teaching one-on-one lessons. Whenever possible, have a chat with a student before the first lesson, or a trial lesson of some kind, in order to get a feel for who they are and how they learn. Ask questions. Figure out why they are signing up and what they hope to get out of working with you. Modernize your lessons. Odds are there are lessons available across the internet – your student chose you for specific reasons, and it sure as hell isn’t because you follow a lesson plan from 1995. Stay current. You’ve got to be an authority in your subject matter. This is another place where listening to podcasts, reading blogs and industry publications, and getting out to networking events is immensely useful. Make sure you’re using the best tech tools for online teaching and stay on top of new developments in your field. You are staying current and are confident in your qualifications to teach your subject matter. It’s time to prove it! It might be uncomfortable to boast about yourself. It’s time to get over it. Your livelihood is at stake, and if you’re going to be successful, everyone needs to know that you’re legit. Highlight your qualifications, education, and best work on your website. Anything that is viewable online needs to work in your favor. Make yourself easy to get ahold of. Build a ‘friendly authority’ image for yourself. Take what you liked most about your favorite teacher and replicate it. Double check what is on camera, as well as your microphone placement. Keep your space looking professional! As much as you might love Pamela Anderson, that Baywatch poster on your wall is going to be real awkward in the background of your lesson. Keep a clean background, maybe hang your college degree or any certificates, stuff that creates a professional and non-distracting setting for your students. We touch on this further, as well as cover other common mistakes, in this article from Teacher Indie. When applying for a job, treat it like any other job application. Are we going to put a teacher who is aggressive, clueless, or desperate in front of our students? Definitely not. No matter the subject matter or outlet, the same basic rules of professionalism still apply. First impressions count! 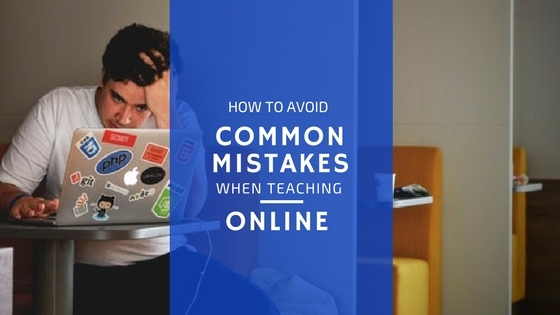 Can you think of any other common mistakes to avoid when teaching online? Have a question for Tim? Let us know in the comments below! Tim Wenger is the content manager for Live Lingua. The founder of Inkwell Media Services, he is also the author of So, You Have A Band, the definitive guide for independent musicians. After finishing a BA in Communications from Fort Lewis College, Tim jumped into the back of a Ford Econoline and spent a few years playing guitar in dark bars while falling in love with travel, good food, and local drink. He’s been unable to rest his pen (or his feet) ever since. This entry was posted in How to Teach Online and tagged business plan, common mistakes, interview, tips. Bookmark the permalink. Great tips on ways to avoid common mistakes when teaching online. In fact, I’ve thought about teaching an online origami art course few years ago. At the time I was clueless. I had no idea the things I need, things to prepare, and things to avoid. Out of frustration, I simply gave up. Now after I read your post, it has reignited my passion to start an online course in the future. I liked and enjoyed your article a lot. Really useful and helpful tips. Keep up with good work. Thank you for sharing. I think that staying current is one of the biggest factors. This will show how much you stay on top of your profession. This will also solidify your creditability. Is it hard to obtain a job like this? There are a number of jobs available, although many prefer to go about it in a more entrepreneurial way and start their own website or course. You say you get many emails that are aggressive or just a single phrase right? Well, could you tell us what we should say in our emails and what is the difference between driven and aggressive? Tim does give a lot of good advice on the simple mistakes we make online teaching. Being someone who takes advantage of online courses for various reasons, I greatly appreciate a visual attraction to get me compelled to continue watching live classes. Some have been so bad I had no choice but to close. Great information for presenters and for viewers alike. How much work is there out there for teaching online courses? Websites like udemy and udacity seem to be pushing universities (in my local area anyway) to create MOOC courses and give out free online content courses to keep up with the changing marketplace.